Why is it that when I go to my library to check out some audio books, they have the third and the fifth in the series only? These are audio books where the patron never gets a physical copy so it's not like the rest in the series were damaged. I can get that perhaps they couldn't afford the whole series but in that case, why not get the first couple so the library patron can decide whether they want to continue the series by purchasing it. Global warning might not be a fact in some minds but I do have to say that our weather has been unusual. On Sunday we were up in the sixties and had the house open and airing out. I enjoyed it but definite not the norm for January. I always get a kick out of the fact that one of our cats is twice the size of two of the dogs. 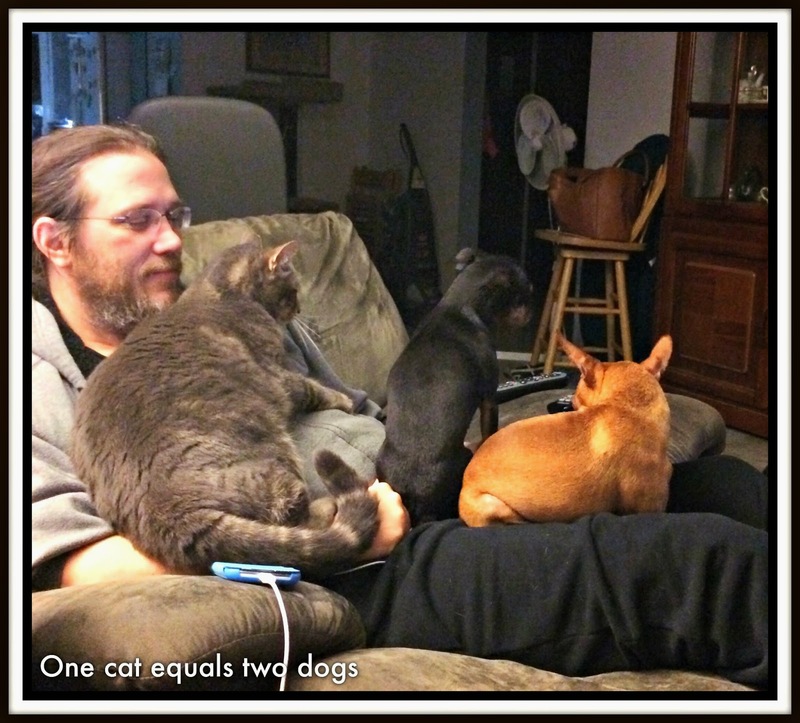 Of course, it does mean they can all enjoy my husband's lap at the same time. According to the record of charges on my debit card, Vancouver Washington is now a part of Oregon. Shouldn't someone advise us when the third largest city packs up and goes? Why do people feel the need to use both Captcha and moderation. One or the other should be sufficient. Both is just overkill and highly annoying. Oh and this should have been published last Friday but I had to work in the office and didn't realize that I messed up until rather late in the evening.So this is apt to be longer. Fair warning. I have having a lot of fun playing in my studio and have actually gotten some new necklaces added to Shaiha Designs. I LOVE this picture! 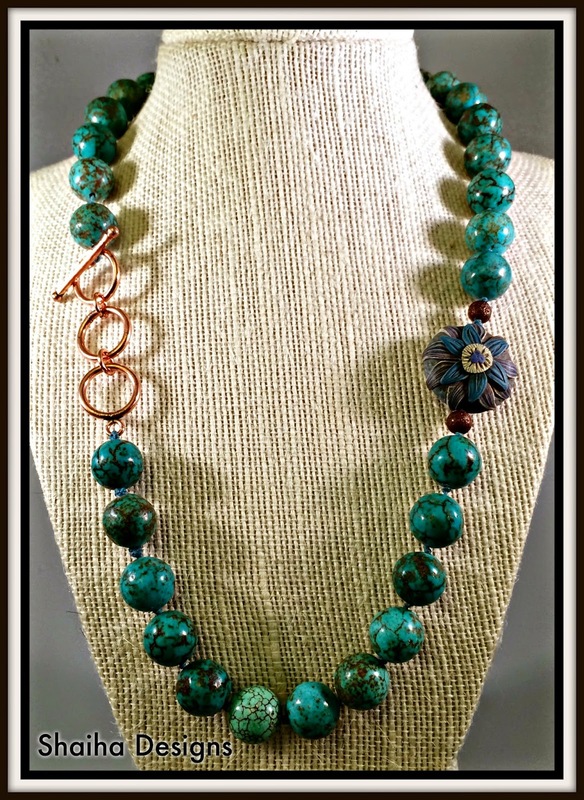 And this necklace is gorgeous - I particularly like the placement of the toggle/focal and the three copper links - very pretty!